Indigenous languages are key to ensure the continuation and transmission of culture, customs and history as part of the heritage and identity of indigenous peoples. ‘It is usually estimated that there are between 6,000 and 7,000 oral languages in the world today. Most of these languages are spoken by very few people, while a handful of them are spoken by an overwhelming majority of the world. About 97% of the world’s population speaks 4% of its languages, while only 3% speaks 96% of them (Bernard 1996: 142). 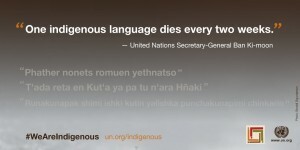 A great majority of these languages are spoken by indigenous peoples, and many (if not most) of them are in danger of becoming extinct.’ As highlighted by the United Nations Secretary-General at the opening of the Permanent Forum on Indigenous Issues in 2011 – one indigenous language dies every two weeks. 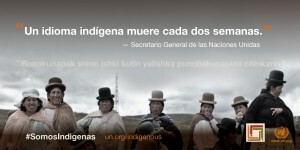 The United Nations Permanent Forum on Indigenous Issues (UNPFII) is an advisory body of the Economic and Social Council (ECOSOC), with the mandate to discuss issues related to economic and social development, culture, the environment, education, health and human rights. 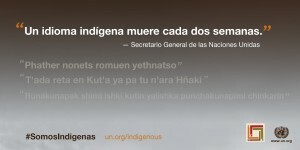 At its fourteenth session in April-May 2015, the Permanent Forum recommended a three-day international expert group meeting on the theme “Indigenous languages”, which was approved by ECOSOC (decision 2015/43). 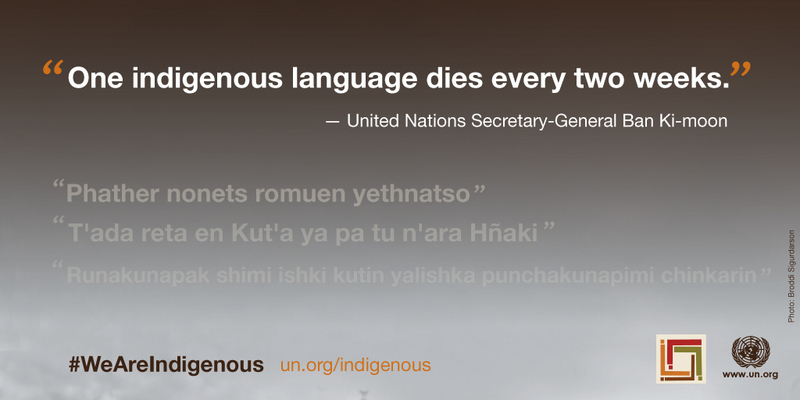 Following up on this, UN DESA/DSPD has organized the expert group meeting on “Indigenous languages” at UN Headquarters in New York from 19 to 21 January 2016. 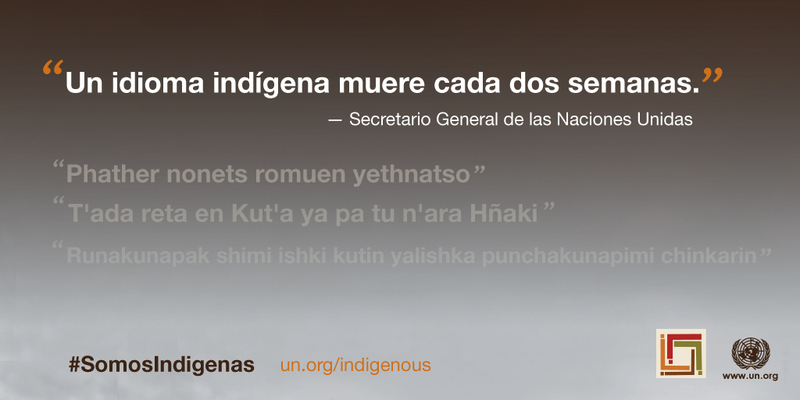 This was the second international expert group meeting on indigenous languages organized by the UN DESA. 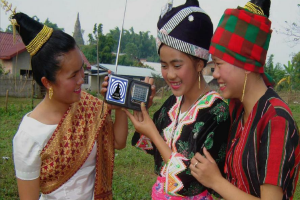 It built upon the findings and recommendations of the 2008 expert group meeting on the principles of cultural diversity and indigenous languages as a way to promote intercultural dialogue and affirm indigenous peoples’ identity. * The views and opinions expressed in these papers are those of the authors and do not necessarily represent official policy or positions of the Secretariat of the Permanent Forum on Indigenous Issues/DSPD/DESA.